What’s in it for me? 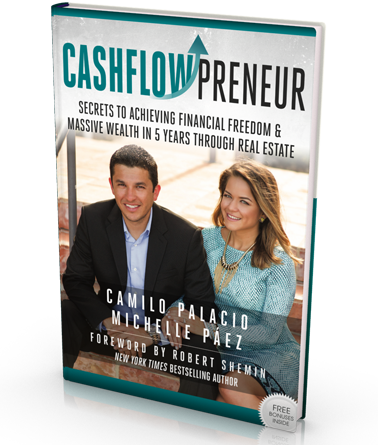 Why should I buy from Cash Flow Properties? Cash Flow Properties consists of a team of real estate experts that help investors like you take advantage of today’s economy in the South Florida housing market. We help you find properties at wholesale prices 40-50% under the market value. If I decide to buy a property, what strategy will I use to make a profit? By buying a property at such low prices, you can buy fix and rent, sell or live. By renting, you will increase your monthly income significantly and passively. This is considered the best way to create long term wealth. If you decide to resell at retail price after renovations, you will create a big, one time, lump sum of cash. If you decide to live in it, you will be buying your home at huge discount saving thousands of dollars in your own house. What type of properties are available? We focus in single family houses, townhomes and multifamily units. We focus on offering our investors the best return on their investment and we believe these type of properties have the best cash flow. Condos, because of Home Owner’s Association fees in most cases, lose the monthly cash flow and lowers the return on investment significantly. What are your sources of your properties? The majority of our properties are acquired from the bank and motivated sellers who are willing to sell at very low prices. Our solid relationship with asset managers, REO agents and investors allow us to get the best possible deals which our clients take advantage of. Is the title on these properties clean? By working with the best title companies in South Florida, we ensure that there is clear title on ALL properties we sell and there are no liens at the time of closing. If title is not clear or if there are liens or monetary violations, our investors will not be required to close and deposit will be refunded. Will I receive “Free and Clear” marketable title at time of closing? During the closing process we will get a property lien search, code violation report and open permits with the respective city to guarantee that all concerns or any monetary liens are taken care of and cleared prior to closing. We provide 100% assurance that our properties are have “Free and Clear Marketable Title”. Because of the volume of properties we buy, we are able to acquire properties at huge discounts allowing us to sell them 40-50% under the market value. You will be the one taking advantage of getting properties at such low prices that you will be making huge profits in short period of time. Are there other ways I could purchase a property other than Cash? All of our properties need to be purchased with cash or with hard, private money. We can help you finance up to 70% of the purchase price by setting you up with hard money lenders. This is private investor’s money that will lend you the money secured by the property. For this reason, it doesn’t matter how your credit history is. We do not sell properties with bank financing because most of the time they need repairs and they will not approve the loan. Will you hold a note on the property? No, we will not hold a note on any of our properties. What would be the expected closing duration? We will close as fast as 10-15 days after a fully executed contract. In some cases we have been able to close in just a week. We take this time to have all title work ready and make sure the property has clear title and has no violations. Are closing costs included in the purchase price? No, closing costs are not included in the purchase price. Because we sell many properties and keep our title company busy, we are able to get minimal charges for the closing costs. Taxes are paid in every real estate transaction. Can I use my own title company? Because we need to guaranty you are getting free and clear marketable title and to facilitate the closing processing we use our own title company. If at any moment you want to have your closing documents reviewed by another title company or attorney, you are welcome to do so. 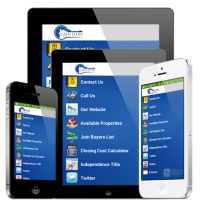 Will your company help repair, resell or rent property? This is our specialty and this is what separates us from all other sellers. Because we are investors ourselves, we have a team ready to take the property from beginning to end. We can coordinate your purchase, rehab the property, get it rented or resell it for you. You can use our help and experience at any moment in your investing process. I am interested in selling, not buying at this moment. Will you buy my property? Absolutely! We are looking to buy properties all year long and would be happy to buy your property or find another buyer. Please contact us immediately. We will do the best we can to help you. Please contact us if you have additional questions or want more information.